We feasted on chilli and garlic barbecued prawns, baked moroccan meatballs with olives and preserved lemon, my family’s traditional chicken skewers, super-crispy garlic and rosemary potatoes, chickpea masala (recipe courtesy of a fellow teacher and wonderful cook), barbecued corn-on-the-cob, green salad – PLUS our awesome guests brought homemade bread, moroccan lamb ribs, and coleslaw. 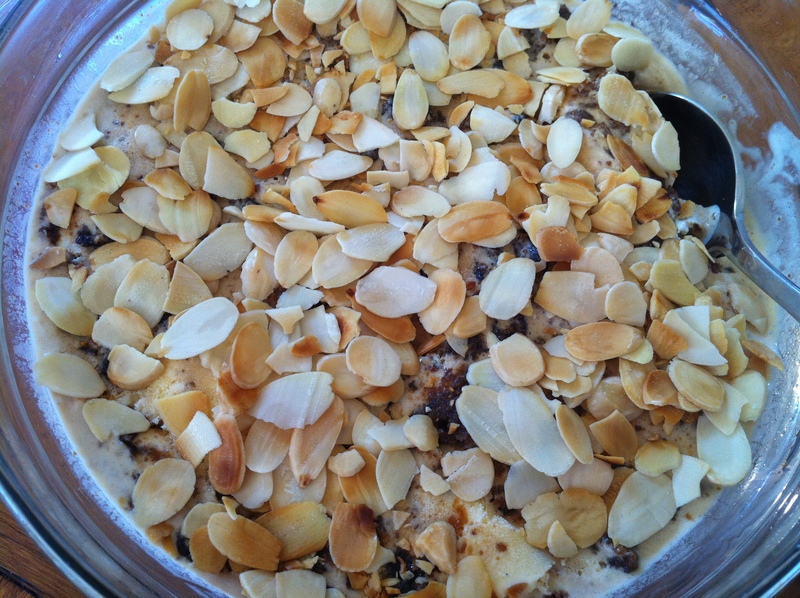 I won’t bother posting a separate recipe for this – you just soften a litre of good vanilla ice-cream, roughly mix in a christmas pudding, top with toasted flaked almonds and refreeze. So easy, even Mr Black could do it. 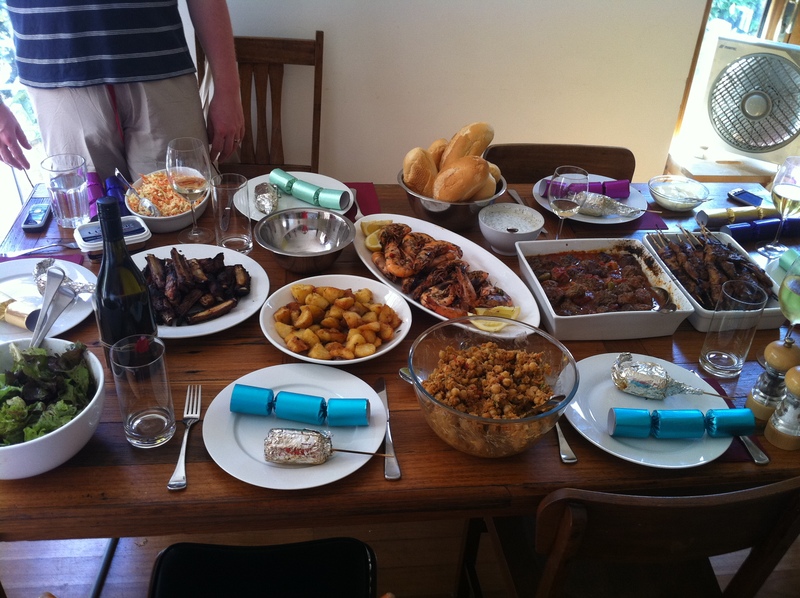 I have to say this was a very relaxed Christmas lunch, as everything was done in advance and all that needing doing was the barbecuing, and baking the potatoes and meatballs in the oven. 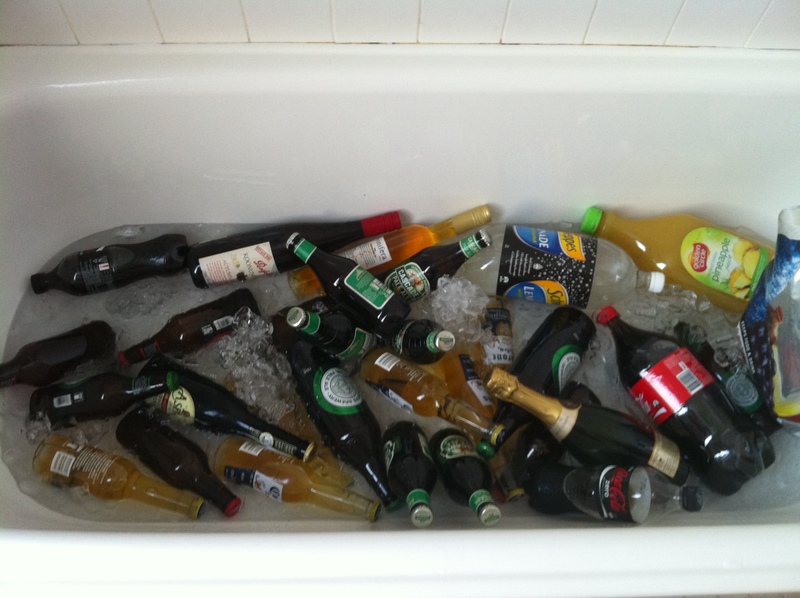 The contents of the bathtub helped it to be a very ‘relaxed’ Christmas too!